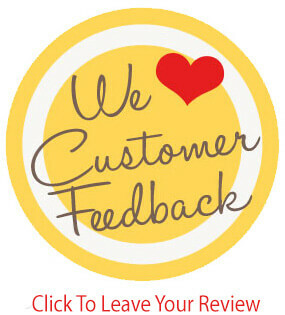 We appreciate comments and feedback from our customers about your experience at Folsom Lake RV. Please Submit Your Testimonial here. Let me start by saying thank you to the entire staff here at Folsom Lake RV. The process was pleasant and easy. They had complementary drinks and hot cocoa for the kids. They had a food truck and donut and cookie bar. They also have a small area for children with a chalk board and coloring books and crayons. They also had building blocks to keep the littles occupied. Thank you to Troy for doing all the foot work on the deal over the phone. Knowing I have three small children and live an hour away, Troy went above and beyond to make the process easy and painless. Thank you to Melinda for making the finance process seamless. Again she went above and beyond to start the payoff process on my trade in before I walked through the door. Making the process with kids much easier. Thank you to Tom for showing me the in and outs of the new trailer and having it ready on such short notice. Thank you to the service team and management. Angel and Randy and Rob made sure questions or concerns I had we answered and taken care of quickly and with a smile. I will rest easy knowing when I send my friends and family to see them they will be in good hands. I look forward to our future memories we will have because of this team. With the Paradise fire 2 weeks ago, Thanksgiving took on a whole new meaning for thousands of people this year, this includes Myself and my girlfriend. Her niece, niece’s husband and their 5 month old daughter are among those with no place to live. Sunday morning we had an idea, buy an RV and let them live in it until they can get back in a house. So the first call was to our dear friends Charles and Debbie Langdon who own Folsom Lake RV. Within hours Sandy and I had purchased a beautiful trailer. The second call was to our niece to have her find a place to put it. Wednesday morning we went to pick it up, and this is where the experience of wonderful people begins. The Langdon’s made us an incredible deal, but what they did next was unbelievable. When we walked in the RV to do our acceptance walk through, the staff at Folsom Lake RV had stocked it with cookware, dishes, glasses, silverware, knife set, kitchen utensils, bath towels, bed linens, blankets, pillows and all the exterior hook up essentials. Now top that off with a huge pink basket full of baby cloths and toys, even a new collar and treats for the dogs. You can’t hold back the tears when there are people like this in the world! I have since found out they have done this for over a dozen fire victims so far, for total strangers. If you ever are in the market for an RV and don’t take your business to them, you are truly missing out!! We packed up the trailer with food and supplies and towed it to Chico, where we set it up and then cooked them a complete prime rib Thanksgiving dinner. I also need to mention that WineTime in Chico has supplied the location for the RV (free of charge). The people there today absolutely could not have been more gracious. When you get right down to it, isn’t this what Thanksgiving is really about, family and friends (not Friday sales)?? We lost our home from the Camp Fire in Paradise. We were displaced by the CampFire in Paradise, we came and saw Troy and met everyone there, down to the detail crew. They really are a family there and it makes you feel good when you have a total loss. We got the right Travel Trailer, the BEST PRICE EVER, and like I was saying since we were displaced, they gave us Dishes, Toiletries, Glasses, Silverware, Knives Blankets and Towels. We Love all of you guys, and Thank you From the Bottom of our Hearts!!! My Husband and I are so very pleased with our new Bullet Premier Trailer! The Staff were just wonderful to work with! We were definitely well taken care of and much appreciate it! Many HUGE thank you's to Rachel and Melinda and Angel. Could not ask for better people who are kind, fair and considerate. I have already given out two recommendations! Best place to buy an RV! This is by far the best place to purchase an RV. Very friendly, knowledgeable and attentive. Willing to work with you. Found a great used RV perfect for me and my wife. This is our 2nd RV we purchased from FLRV. We are so glad that we accidentally stumbled across this RV Center. We were researching a lot of different RV's, like the Bullet and anything with a bunkhouse in it. We had to see the RV in person, so we went to a couple of places that sell them. We saw one at Camping World, but the sales team there were very pushy and we didn't feel right buying from them. We decided to check out FLRV...and glad we did. Excellent customer service and all around good feel from start to finish. Cary was probably the best part of the whole experience. He made sure we got what we wanted. We didn't like the bullet because it just didn't feel right for the price. He showed us the MPG. We had never heard of this brand, but it's made by Cruiser RV, and the company had been bought out by heartland. It had everything we wanted and more. Check out FLRV. They are awesome to deal with, and their store is "campy" in how it's set up. Couldn't Be Happier . . .